By Philip Taylor · Filed Under: Small Business · December 22, 2018 · · Part-Time Money is supported by you. When you sign-up for services or buy something through links below, we may earn an affiliate commission. Learn more about how we make money. I‘m always on the lookout for interesting ways to make extra money with my spare time and resources. Starting and running a Christmas tree farm has always intrigued me. When Gregory Bartels, aka “The Christmas Tree Man,” reached out to me and I saw his passion for the business, I knew I had to feature his tips here on the blog. 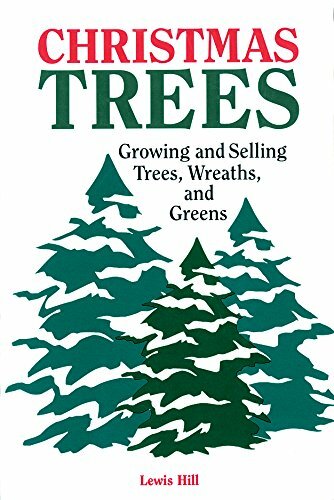 Gregory has been in the business for 40 years and he shares some great tips for anyone who wants to start their own Christmas tree farm for fun and profit. Thank you for giving me the opportunity to tell you a little about Christmas trees. I came over here to America in 1965. Joined the army and was discharged in 68. 68 was the first year I got into the Christmas tree business. I got in as a retailer down in California (quite by accident) and that’s a whole new/different story. I retailed for 10 years and met my girl, got married and one day she said, “why don’t we move to Oregon, buy some land and grow the trees, then we don’t have to buy them because we’ll own them? We should cut out the middle man.” I married a smart girl. So we did. 40 years later we’re still here, still growing and retailing. 1. What is the bare minimum investment to get started in Christmas tree farming if you already have land (i.e. what is the cost to buy seed, work the land, maintain, etc.)? The seed has already been taken from the cone and made into a seedling approx 1′ to 1 1/2′ tall. Different tree seedlings are priced differently. For the most part folks here in the Pacific Northwest grow Noble fir, Douglas fir, and Grand fir. The tree seedlings are priced at an average of .35 per tree. We buy them from the big guys like Weyerhaeuser, although there are some “boutique” growers that grow a pretty healthy seedling. Before planting you must ‘rip and disc-up’ the dirt/soil. If you’re just starting and you don’t own your own tractor, a local farmer will (generally) clean up/disc 20 acres for approx $1000 (10 acres for $500). Now your ready to plant your babies. 2. If you don’t have land for your Christmas tree farm are there ways to get it for free, very cheap, or through some type of sharecropping/rental arrangement? I have yet to find free land. However there are many farmers who will sharecrop his/her land with you. Usually everybody involved agrees that a 50% split is fair. The farmer provides the land, the grower provides the knowledge/experience. Costs are split 50/50. Profits are split 50/50. I’ll get to the profits later. 3. How much land do you need for a Christmas tree farm? How much is ideal? I’m often asked “How much land do I need?” My answer is “Do you have a business plan, and/or do you have a buyer for your trees when it comes time to sell them?” A tree typically takes 6 to 8 years to grow (1 foot per year), so you’re tying up the land for quite awhile. That being said, at right around 1500 trees per acre, a 10 acre piece will yield you 15,000 (20 acres 30,000) trees. Now-a-days with the Internet and craigslist, etc, marketing your Christmas trees is a whole lot easier. Just about every State I believe has a extension service or a Christmas tree association and (like the Granges in the old days) there are folks who will gladly help. All you have to do is ask, or give me a ring, I’m happy to help and steer you on the right course. 4. Can this (Christmas tree farming) be done anywhere or is it exclusive to the Pacific Northwest? 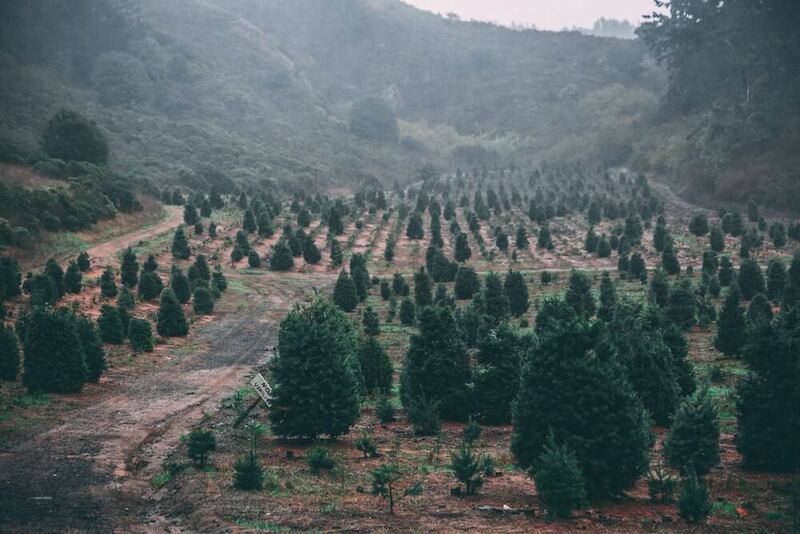 Just about every state grows Christmas trees – even Hawaii. The Pacific Northwest is (I’m gonna sell my state now!) great/ideal for growing Christmas trees. We grow a beautiful tree. However, ask the folks down in North Carolina or Pennsylvania, or Michigan and they will tell you that they “grow the best trees”. We actually have competitions every year, when growers from all over the country get together and “tell tall stories” and “talk tree”. 5. 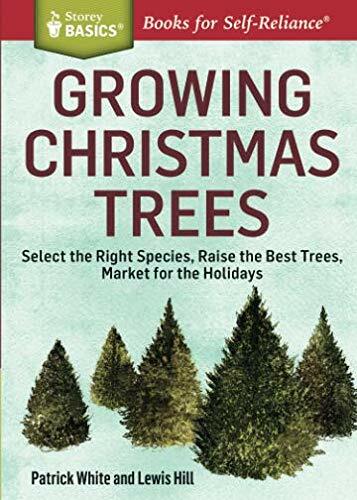 In general, what type of Christmas trees do you plant and which do you have to purchase? Here in the Pacific Northwest we plant Noble fir, Douglas Fir, and Grand fir. The folks down in North Carolina plant the Frazier fir, Pennsylvania Douglas fir, pines. Elevation, conditions, rainfall, etc are all factored in. 6. How do you actually make money selling Christmas trees? What kind of margins can you get away with? It’s all about supply and demand. Are there a lot of trees? Was there an over planting 6 to 8 years ago? Is there an overage or are supplies short? Supply and demand. Either way the money is made in the buy. Not what you can sell them for (because there is a realized price/cost of the tree on the lot) so it’s vital to know that “the money is made in the buy”. Because we grow the tree and not buy from the farmer our margins are better than the couple (buyer) that has a retail lot or lots and has to buy from the farmer or broker. There is more money to be made by finding a retail lot and selling trees than by having a “choose & cut” or a “u-cut trees” lot. There is a rule of thumb. Buy a tree for $10 and sell it for $30. That’s minimum margins. However, (and again, it’s all in the buy), you can typically buy a tree for $15 and with the right location that tree can sell for $50 to $80. That’s GREAT margins. Location is the key to retailing. 7. What about advertising? How do you get people to buy Christmas trees from you? Advertising is important. We usually set up and sell pumpkins. We create a fun pumpkin patch. Folks coming in and driving by see that there is a seasonal legitimate business on the corner and come on in. Also supplying the Christmas tree lot retailers are companies that sell banners, stands, and tree lot supplies. So put as many flags and banners and signs out as you can. Last year we had a team out side the lots waving to the folks driving by. They were wearing little elf’s costumes. Flyers in local stores, with a bring this in for $2 off your tree. Most folks buy tree with in 2-3 miles of their homes. 8. How much can you realistically make selling Christmas trees in a season? A breakdown of the numbers would be appreciated. $15,000 to $20,000 per location. Location. Location. Location. Typically a Christmas tree lot at a half way decent location will sell anywhere from 500 to 1000 trees. Now we all know this is a seasonal business so you have to “hit it hard”. There’s no time to be sitting around. If you purchased correctly using the rule of thumb you should make $15 to $20 thousand dollars. Of course it all depends on what you paid for them and what you sell them for. Starting out I would suggest just doing it with friends and family. Having two lots close enough that you can manage them is a good thing. Don’t recommend doing more than two the first couple of years. Gotta get your feet wet first. When I was first retailing way back when, I would go spy on other lots. Everybody does it. Drive up to the lot, walk around and check out what the other guy is doing. Spying on the other guy is always fun and informative. 9. What are some of the mistakes you made or you see others making when trying to do a Christmas tree farm? There’s good folks and there’s not so good folks. Going into a new business whether its becoming a Christmas tree grower/farmer or retailing, there are always good folks that will gladly help with council and advise. Whenever we needed help on what to do, we just asked one of the many good people and organizations/associations for help. You are not alone. 10. What’s been the key to your success in the Christmas tree farm business? The key to any successful business is knowing that you have to plan. If you fail to plan, you can plan on failing. Hard work, and again, there are so many folks that are more than happy to help on your journey. Have fun making money. It’s fun making money! Gregory says, “I think it would be fun to help others in need of making some extra money for their families to show them how to sell Christmas trees.” He’s doing so formally by offering up classes this Summer at his farm near Portland. Visit The Christmas Tree Man for more information about the classes and to view a video from Gregory. I run a Christmas Tree lot outside my hardware store during the winter season, selling noble firs and craft florist evergreen wreaths and whatnot. I’m based down south and I can tell you, farming my own just wasn’t cost effective. If you can find a good supplier to ship them to you, you can save quite a bit and make good money just off the lot. I agree that the Pacific Northwest is best when it comes to noble firs – I’ve found some of the best deals from suppliers in Oregon. If time/money is at all an issue, I’d suggest going that route. I am a Christmas tree farmer. Currently trees are selling for cheaper than farmers can grow them for. This is due to a large over supply. I suggest you research market trends before investing money in this industry. Christmas Tree Farms are all over Pennsylvania. Now, this is a unique article on how to make extra money, different from the usual PF reading. I suppose it would take living in a low cost of living area, or at least having your acreage in an area where land prices are dirt-cheap. Yet, you need to be accessible to people with the means and interest in buying these trees. The land purchase would appear to be critical here, but I could see how this could make some money. How about outsourcing most labor at low rates, to keep it profitable? I’m interested in the fact that he started on the retail side and expanded. This seems like a business with low barriers to entry and decent margins for someone just starting out. I love case studies…great story. Thanks for having him on the blog. Dude! I’m not talking about buying 100 acres and going Pets.com crazy….I’m talking about starting out! The retail end of the operation that he discusses (read way back to the beginning of the article) has decent margins and low barriers. I found it interesting that he could move up from there, don’t you? Very interesing post! I always heard how lucrative the Christmas tree business was. It seems like any business where, if you control your expenses, it is profitable. If you do it well, you could make enough in about 30 days to support yourself for the whole year. Well this is certainly and interesting way to make extra cash. You’d have to have a lot of land, though. @addvodka Agreed that it would be very interesting to dig into this type of work. As Gregory explained in the interview though, you would not need a lot of land. You could sharecrop, just buy and sell trees (i.e. only need a truck and lot to sell), or just start with a small batch of trees on a little land.